On July 25, 2013, a panel of federal judges heard arguments from both plaintiffs’ lawyers and lawyers of the drug maker Lipitor over whether all Lipitor lawsuits that are filed in the U.S. District Courts should be centralized in a “sort of class action” before one judge as part of a Multidistrict Litigation (MDL). 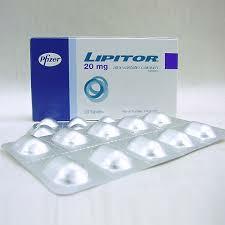 Lipitor, a medication to help lower cholesterol and improve health, is one of the most widely used brand-name medications. In February 2012, the FDA required new diabetes warnings for Lipitor and other statins for first time users as they face an increased risk in change of blood glucose levels. Since then, a growing number of women have brought product liability lawsuits against Pfizer after developing diabetes following the use of the drug. They alleged that Pfizer should have known about the risk of type 2 diabetes for women from Lipitor for women and withheld the information. The women also stated that if the warnings had been properly made available, they could have avoided diabetes. In April 2013, a group of Plaintiffs’ attorneys filed a motion asking for a Lipitor diabetes MDL that suggested the possibly that thousands of cases will be filed in the coming months. One plaintiffs’ law firm reported that it has received more than 2,000 inquiries from women who have been diagnosed with type 2 diabetes after taking Lipitor. They estimated that they will be filing at least 500 of those cases in federal courts. Pfizer filed a response, naturally, opposing consolidation of the litigation, arguing I think comically that there are not enough lawsuits filed to warrant consolidated proceedings. Just wait. They are coming. They also argued that a discovery class action would result in a surge of lawsuits filed by lawyers who may not otherwise be willing to litigate the claims. I mean, that’s right but that would be a defense to every effort to centralize any mass tort. The plaintiffs argued that this would save everyone money, including Pfiser. Plaintiffs are seeking compensation for life altering diabetes – anybody has it will tell you it changes you life – complications from Lipitor. Those who have been diagnosed with diabetes are required to monitor their blood glucose levels, adhere to restrictive diabetic diets and take additional medication. They also claim that they are facing an increased rate of heart disease, as you would expect with diabetes, blindness, neuropathy, kidney disease, and other health problems from diabetes. The judges are expected to issue an order within a few weeks. If a Lipitor MDL is formed, the panel will also decide the most appropriate transfer venue for the litigation. If you or someone you love has used Lipitor and been diagnosed with Type 2 Diabetes, protect your rights. Call us at 800-553-8082 or talk to us online. There is no fee or cost for you in pursuing your claim unless you win a recovery. Statins Raise Risk for Diabetes?